Needle stick injuries leads to the exposure of HIV/AIDS, hepatitis B virus (HBV), hepatitis C virus (HCV), and many other blood borne diseases as more than 20 blood borne pathogens that can be transmitted by needle stick injuries. In US, over 320,000 needle injuries occur every year. After the introduction of catheters in 1990’s, these needleless connectors were associated with increasing rate of catheter-related bloodstream infections giving rise to the demand of safety syringes. According to the estimation of WHO, 40% of 16 billion administered injections involve reused and unsterilized syringes worldwide. The reuse of syringes/needles is responsible for 32% new HBV infections, 40% new HCV infections and 5% new HIV infections, worldwide. RTI's automated retraction technology found in VanishPoint and EasyPoint devices effectively reduces the risk of a contaminated sharps injury and reuse. 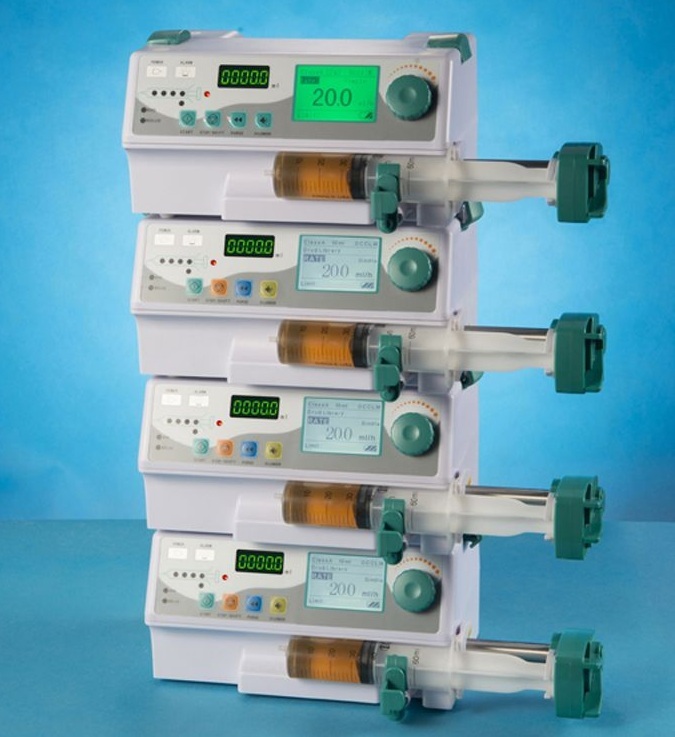 Automated in-vein retraction blood collection devices effectively reduce the risk of needlestick injuries, blood exposure, and inadvertent activation during blood collection. In addition, the BD Intevia autoinjector is a two-step, push-on-skin 1-mL autoinjector designed to deliver a broad range of viscosities for chronic disease therapy. Smart syringes market is anticipated to garner USD 10.25 billion by 2024, registering a CAGR of around 10% over the forecast period. Global syringes market is expected to reach USD 20 billion by 2030 at a CAGR of 7.5% over the forecast period. Active safety syringes dominate the global smart syringe market by acquiring 67% of market share among other smart syringe types. Active safety syringe market is likely to attain the revenue of USD 6.8 billion by 2024 at a notable CAGR. Furthermore, Auto disable smart syringes segment is anticipated to exhibit the highest CAGR of 11.5% over the forecast period. Drug delivery is the the largest among application segment by owing almost 51% of total smart syringe market share due to high demand of smart syringes for diabetic treatment and rest 49% is acquired by blood collection and vaccination. Geographically, North America is projected to remain the leader of smart syringe market, accounting for 30% of overall market share. North America tends to account for USD 3.01 billion revenue by 2024 and is expected to exhibit a CAGR of 8.5% over the forecast period. Increase in needle puncture injuries, paradigm shift from traditional syringes to smart syringes, increasing cases of cross infections such as HIV, hepatitis B & C, etc rising adoption of safety syringes across the world and growing awareness in emerging economies tends to drive the global smart syringe market. Imposing regulations by WHO and UNICEF on mandatory use of smart syringes for safe fluid extraction or deliverance from the body or to the body is anticipated to boost the smart syringe market. However, high cost of smart syringes and introduction alternative methods that can replace smart syringe tends to hinder the smart syringe market.